Once the excitement of Christmas and New Year has died down, you can’t help but feel a bit exhausted and deflated. We understand the feeling – having spent so much time online shopping, taking too many photos at the Christmas party(/ies) and general socialising – it can be time for a bit of a breather! Whether you are in need of a quick getaway to adjust and clear your mind for 2019 or you are looking for a longer break to relax after all the party-ing – we’ve got just what you need for a digital detox! 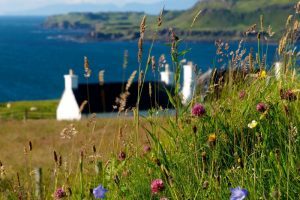 From Treshnish, be prepared to enjoy spectacular sea views and breathe in the fresh air with walks along the dramatic coastline And look out for the abundance of wildlife that pops up to say ‘Hello’ all year round! View plenty of other things to do and see here. Forbes of Kingennie Country Resort offers some of the most tranquil, relaxing self-catering lodge experiences you could ever want! Sleeping between 2 and 10 guests, it’s the perfect escape for you and your loved one to kick back and relax by the open fire or to enjoy quality time with family and friends. 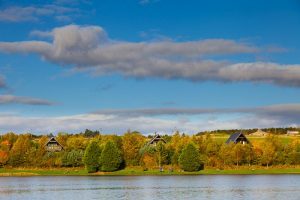 If you’d like to still enjoy activities at your leisure, there are plenty of onsite facilities for everyone to get involved in including a 9-hole golf course, an 18-hole putting green, 5 fishing pools, lots of great walking routes and more! The resort is also dog friendly which means your furry friend can enjoy the beautiful long walks along the many paths and country parks surrounding the properties. View many other things to do and see here.